I have a few days off from work and so I'm loving play time with my new Sale-a-bration and Occasions goodies! 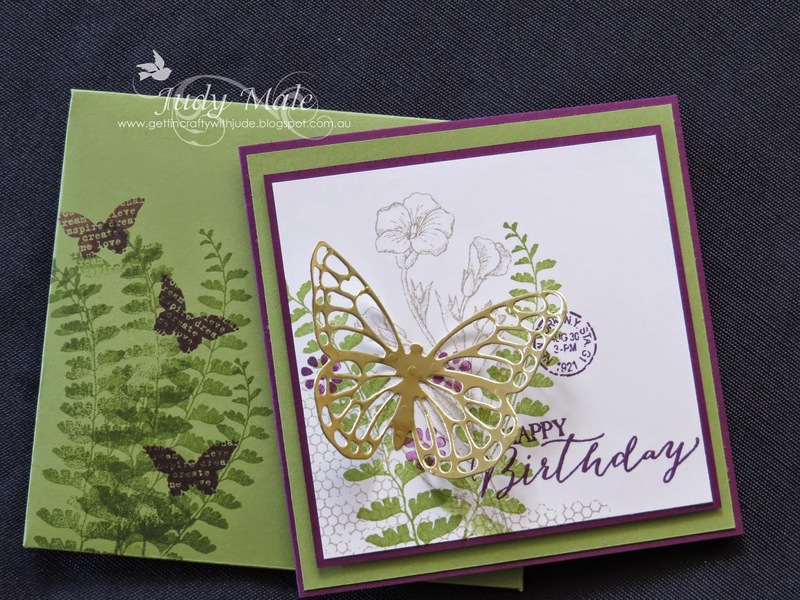 I love this stamp set called Butterfly Basics! 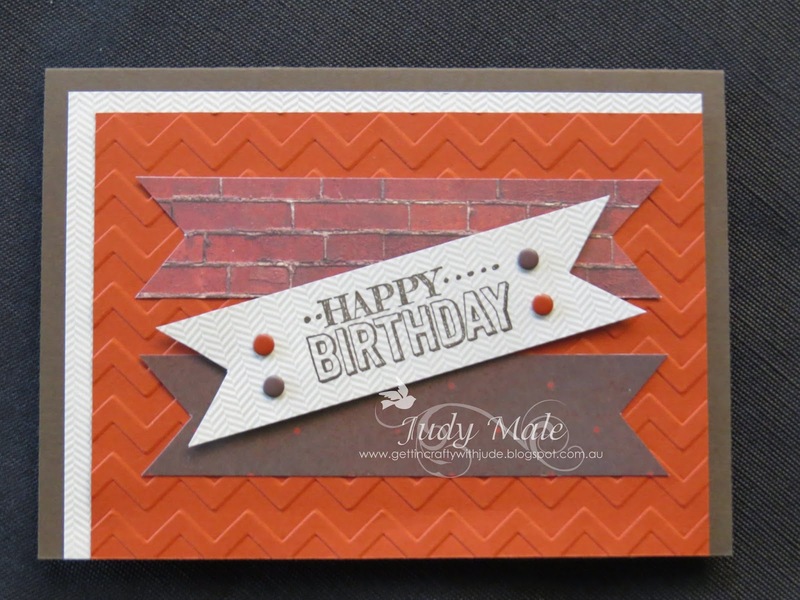 This first card was inspired and CASED from Tammi White. Using the Gold Foil Sheets for the butterfly gives it a touch of elegance, I think. Don't forget to use a dryer sheet and some grease proof or wax paper for easy release of the Butterfly Thinlits Dies. If you love this set too, then buy the bundle and save 15%! Item 139322 Wood $106.95AUD Item 139323 Clear $89.95 Item 138865 $71.95 Photopolymer. All my customers who place an order in February will receive one of these lovely Thank You cards. I CASED both of these cards and changed them just a little to make them mine. The second card by Brandy Cox. Feel like strolling through the trees? Such a nice card for any man in your life. 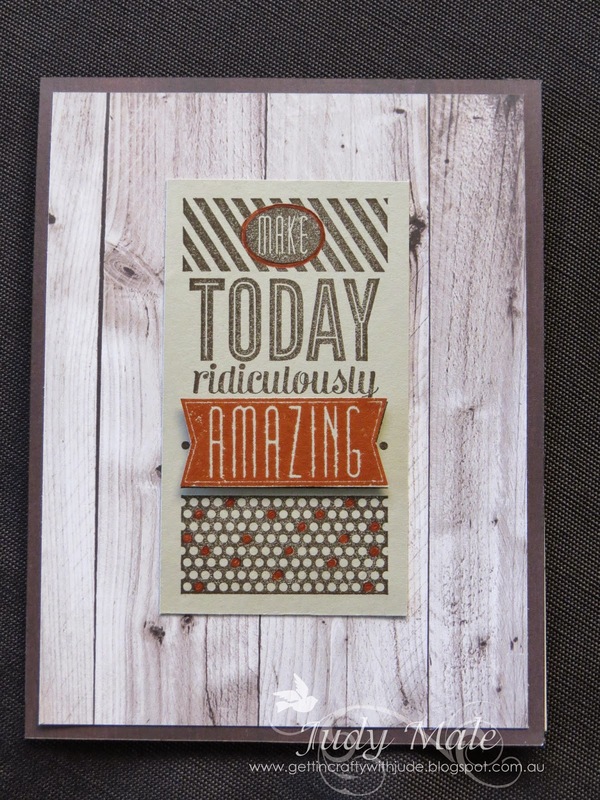 The sentiment is from the Sale-a-bration set called Big Day. A great set to have in your stash and it is free with any $90 purchase through to the end of March! A few Candy Dots and a bit of colouring with our Stampin Markers to finish it off. I used the Chevron Embossing Folder Item 127749for some texture in Cajun Craze and a few banners for something a little different. 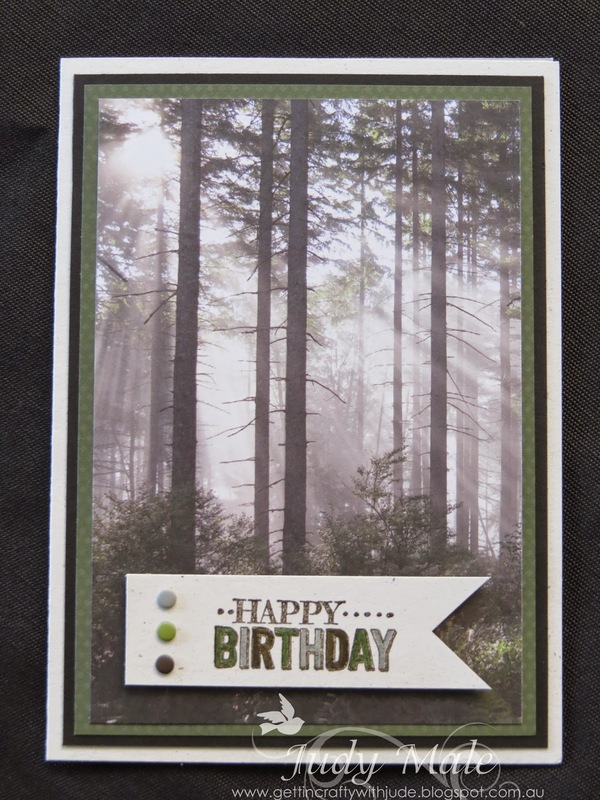 A simple layered card but the result is quite ok. Once again I have used the SAB Big Day sentiment. 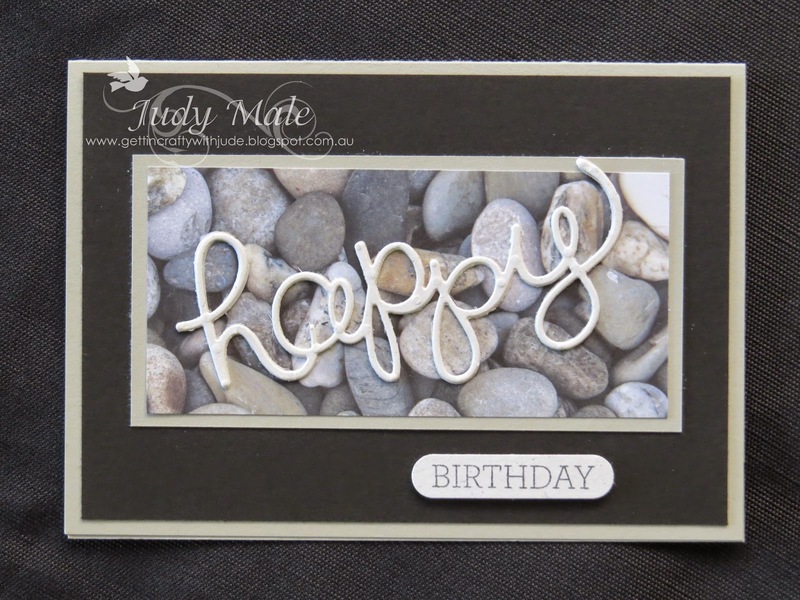 Another simple card follows using a Woodgrain DSP print again from the Adventure Bound DSP Stack and the sentiment stamp is from Amazing Birthday Item 134225 Wood $49.95AUD or Item 134228AUD $25.95 Clear stamp set. 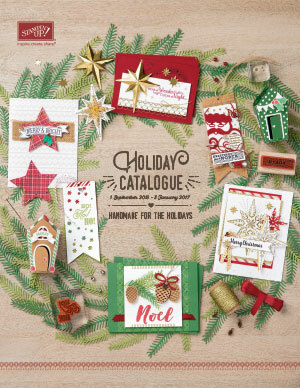 If you would like to purchase any of these products simply go to my Shop Now Button on the top right of this page, it will take you to my online store. Please use Hostess Code Y7CC67WF if your order is less than $300, this will support my business, thank you. If your order is $300 or more then all Hostess dollars are yours to spend. Also if you spend $400 then you get an extra $40 just because it is Sale-a-bration time! I'll be back soon with some more new products and projects to share and hopefully inspire you too!